The continuous evolution of the Next Generation platform is dramatically changing the way technology is being perceived by business in terms of innovation and evolution of business transformation. The key to this platform is the power of individual technologies such as Cloud, Big Data, Mobile, Social, having said that the value comes into picture when these technologies are applied in an integrated fashion. The value is accrued in terms of generation, aggregation, and analysis of data, and the ease with which the insights acquired from this data are shared with the stakeholders and end customers. Innovation accelerating technologies such as IoT and others are also built around the NG platform technology, resulting in the expansion of their use cases, business cases, and value. These technologies are also propelling the emergence of ‘Data as a Service’ and influencing the way data is utilized and monetized. This chain is ultimately lending a touch of autonomy to products, services, and experiences, further leading to shorter product cycles, and the need for efficiency and fully personalized and innovative business models. Wellness sector to continuously improve quality of life. These hacks are applicable to the various forms of IoT, such as industrial, consumer, and enterprise. Considering the bottom-up approach the inbound initiative to improve operational efficiency plays a significant vital role to regain bottom-line and at the same time set the starting point of digital transformation journey. For example, transforming processes to achieve predictive maintenance, optimum asset utilization, benchmark productivity fall under workflow analysis, at a broad level. 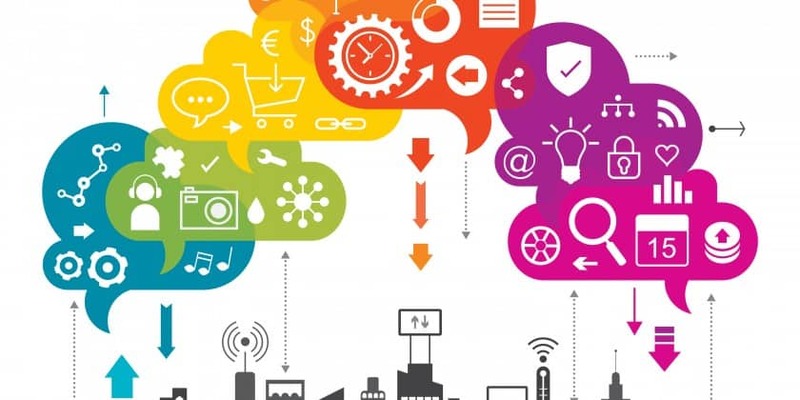 The efficiency and flexibility acquired in business by enabling IoT enables enterprises to experiment with different business models for new revenue generation. Anything-As-a-Service, which means selling from a range of products to product-as-a-service, enables manufacturers to charge as per usage, bundling services and maintenance. Businesses can acquire an edge over their competition by delivering personalized experiences, upselling products, achieving a close integration with customer care, ultimately leading to the redesign and cross-selling of product and services. This hack is typically the by-product of IoT implementation, the art of analyzing IOTized data. The other dimension to look into for this business hack is the empowerment of business entities by applying algorithmic capabilities to the IOTized data and its fusion with transactional events to generate business patterns, helping leaders and operational executives to take a quick call through data-driven decision-making techniques. With the kind of revolution that is taking place across business lines, it is time to rethink and redraw performance indicators to define success and sustainability in their true sense. Hence, new-age KPIs become very crucial for establishing a framework to measure ROI. The focus needs to be on the E2E landscape of IOT realization. Rightly Comprehending the Power of IoT for Businesses 5 out of 5 based on 1 ratings. 1 user reviews. Are Indian CIOs Struggling To Transition To Digital? still buy yet another two years of coverage through Apple by buying “Apple – Care”. available on the Internet you could play on your macbook air. If you still prefer your right click features this is enabled easily.